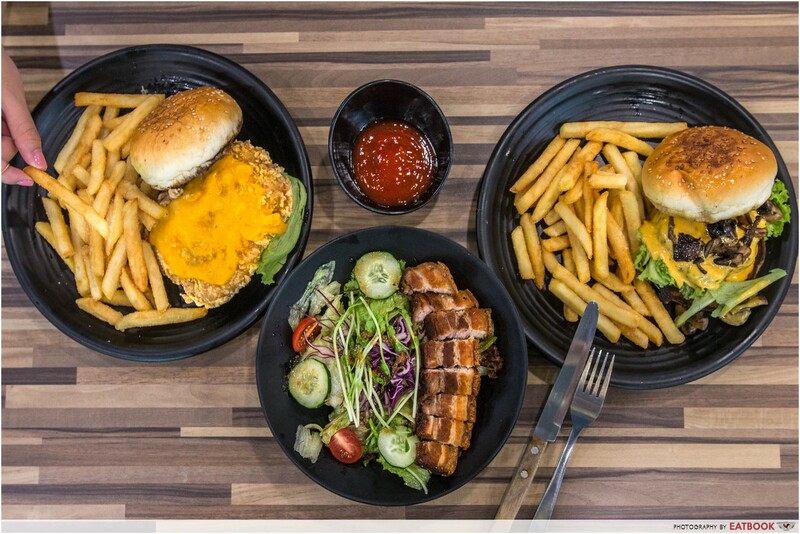 In an inconspicuous corner of Liang Court’s food court lies a new Western stall, Foodsmith. On days leading to payday, I always find myself reaching out for Western food at hawker centres or food courts. They are not only affordable, but their portions are also often large. 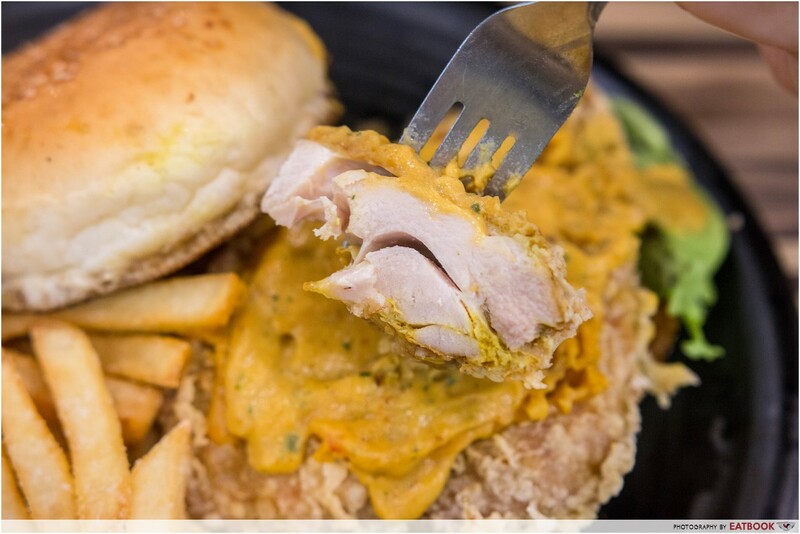 Feasting on that pork chop or chicken burger brings back memories of when my siblings and I shared a plate or two after swimming lessons on weekends. Foodsmith gives a contemporary twist to these old-school delights. 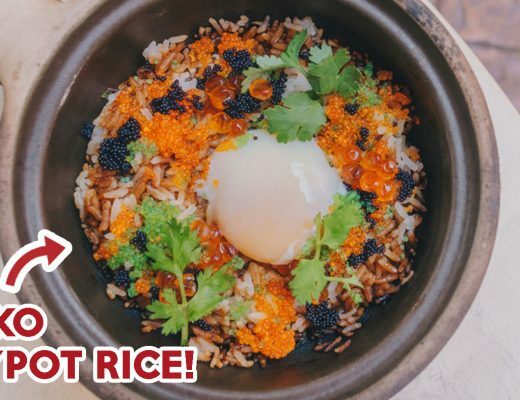 Their dishes are inspired by popular food trends, bringing an element of change to the hawker food scene. 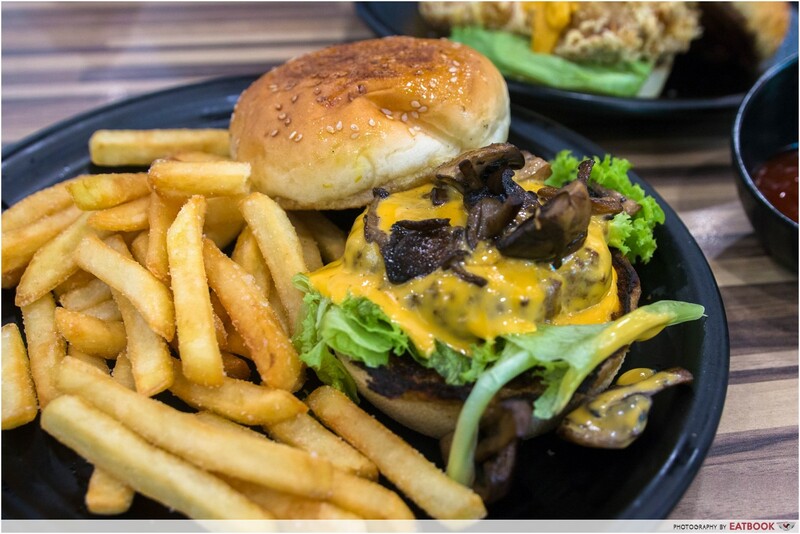 Truffle Mushroom Beef Burger ($10.90) was the first item that was ready. Bringing the huge plate back to our table, the aroma of the dish immediately hit me. The air was thick with the smell of truffle oil. Unlike many named “truffle” dishes out there, the medley of mushroom toppings tasted like it was indeed cooked in a generous drizzle of truffle oil. The medium-well ground beef patty was robust and juicy, without coming across as greasy. It was also well-seasoned with hints of pepper and onion, but tasted even better when sandwiched between the toasted buns and paired together with chunks of truffle oil-infused mushroom. 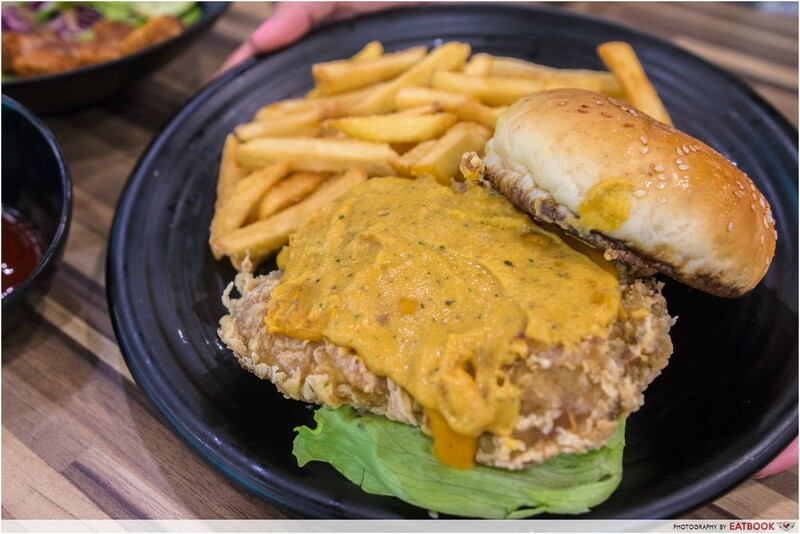 Despite the trend being overhyped, the Salted Egg Yolk Chicken Burger ($8.90) still managed to wow us. 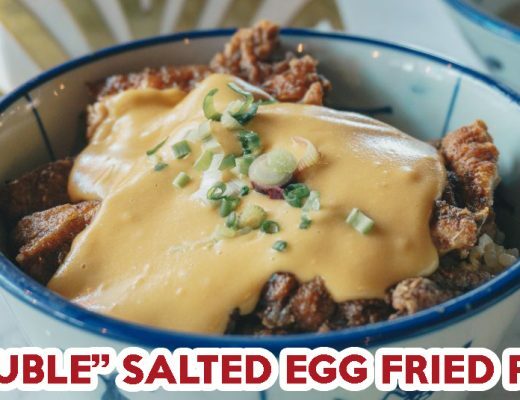 The chicken was coated with a light crispy batter and overlaid with a huge spread of salted egg yolk sauce. The thick, yellow sauce married well with the savoury chicken cutlet, as it added a kick of heat from the chilli padi, and fragrance from the specks of curry leaves. It was a terrific agreement of flavours. The chicken cutlet was thick and succulent. There is also an element of surprise in this dish that is hidden between the white layers of meat; it is seasoned with a blend of curry powder that adds a delicate pep to the flavour profile. 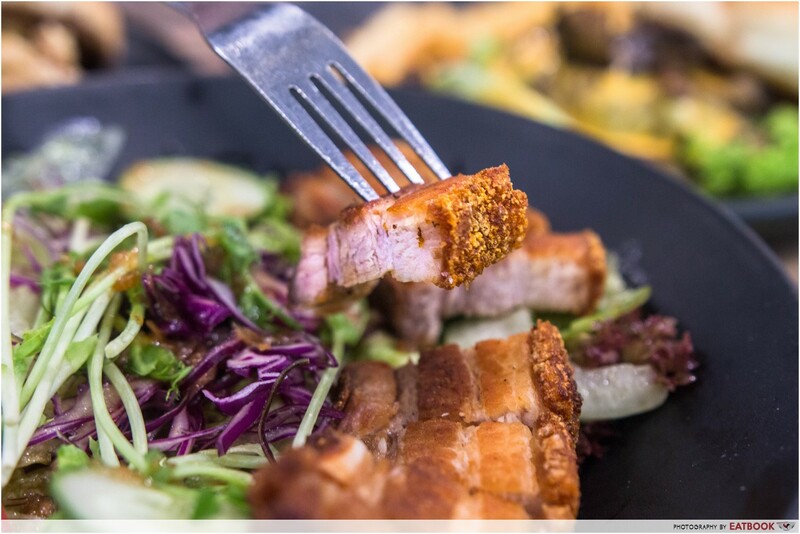 Pork belly is another dish that isn’t usually found at Western stalls. 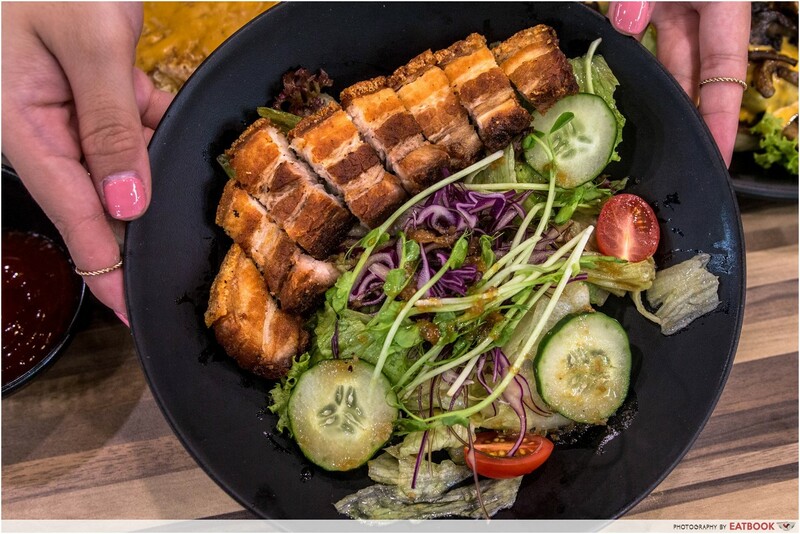 The Pork Belly Salad served at Foodsmith costs $7.90, which is a little steep considering you can get a decent serving of it at the hawker centre at a cheaper price. Although the sio bak here was not the crispiest, nor did it have the most aerated crackling that I have tried, the salty and smoky flavour did the salad much justice as it complemented the fresh vegetables and the ginger sauce it came with. 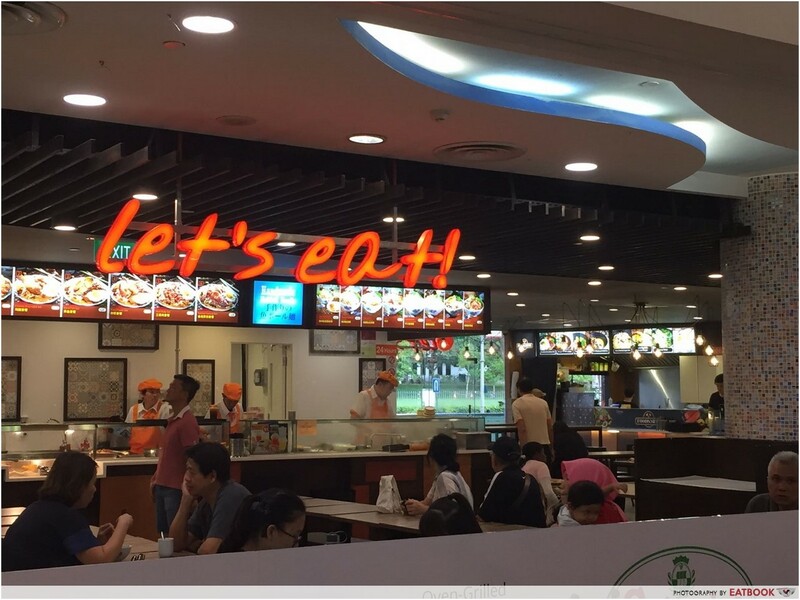 Foodsmith is at the innermost section of the Let’s Eat food court on level one of the mall. When we arrived at 11:30am, there were still ample seats to choose from. But as time ticked closer to lunchtime, office workers started to turn up in droves. However, they went as quickly as they came, making it easy for one to find a space to eat even during this busy period. The best thing about Foodsmith is that it is opened 24 hours every day except Sunday, when it closes at 9pm. 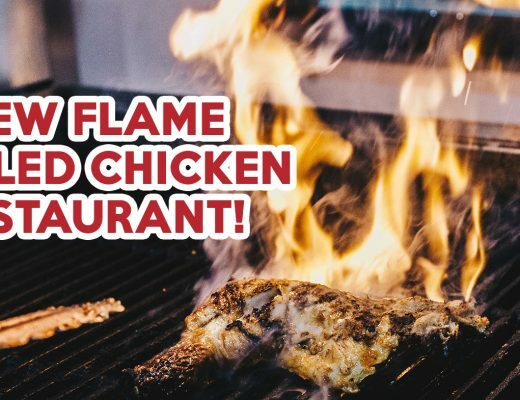 You can come here for an affordable supper after a night’s out with your friends at Clarke Quay. My colleague and I were pleasantly impressed by the food offered here at Foodsmith. Not only is it affordable, the servings were big as well. They also ticked all the boxes for us in the taste department. I love how the food here is catered towards current food trends that we millennials will flock towards. 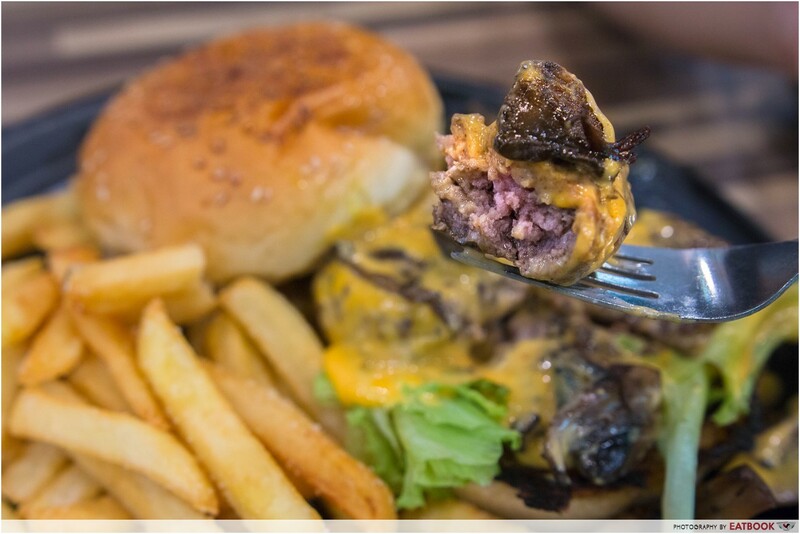 The truffle-infused mushroom beef burger was our favourite as the truffle mushrooms were divine-smelling and strong in flavour. The next time I’m here, I would definitely try the truffle mushroom stew which comes with an onsen egg as well. Group outings would work wonderfully here because of the long tables the food court has. We were surprised to find that they offer Asahi beer on tap as well! 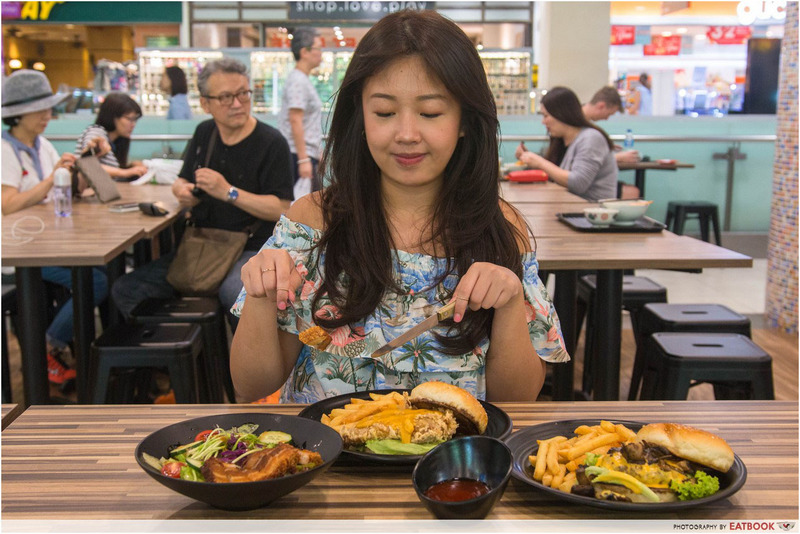 If you are in the area more for a date with your other half, these other Fort Canning food places might be a more romantic option. If Asian food is more of your thing, check out Ramen Champion which is in the same area. For those who are looking for supper spots after a night of partying, this list of 24-hour restaurants can help. Foodsmith is not a halal eatery.